The drive to fill up our office wall space with working testimonies to our products continues. 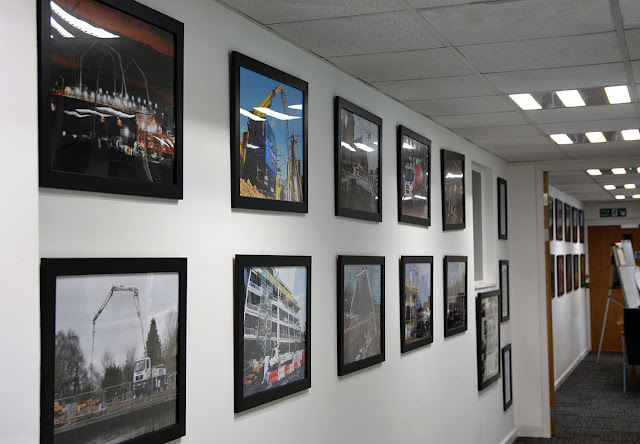 The original lines of pictures along the hallway has been extended through into the room beyond as we try to visit more clients on site and showcase the work they are doing using their Schwing Stetter machines. It's not just this hallway, we've put up pictures all over the place. It's more pleasant than looking at blank walls too.